Today’s Latter Day Saints (with the exception of the Reorganized Church) reject the Nicene Christian doctrine of the Trinity. 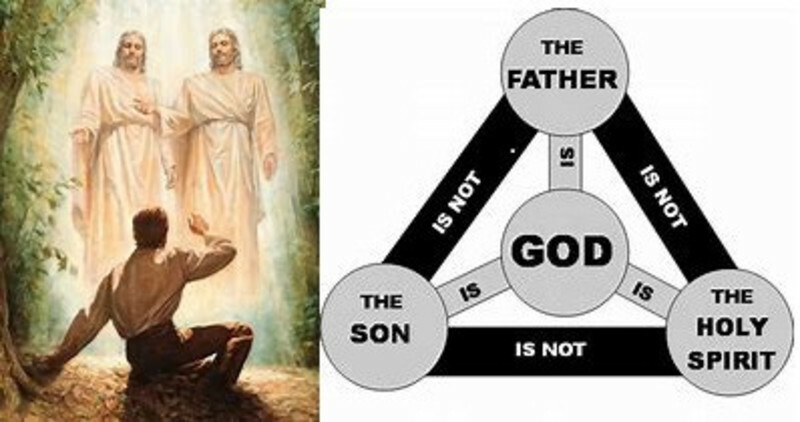 But the Book of Mormon actually affirms our doctrine of the Trinity more explicitly than the New Testament itself does! In fact, I can use numerous verses from the Book of Mormon itself to defend the Biblical doctrine of the Trinity and to refute the later teachings of Joseph Smith and Brigham Young about God. There are numerous additional passages where the Book of Mormon declares Jesus to be the Father, or declares him to be God far more often and explicitly than what we find in the early cautious statements in the New Testament. The Book of Mormon reads like a book for which the great historic Christological debates have been settled in the distant past. It reads this way, even through the mouths of characters speaking purportedly hundreds of years BCE. The God of the Book of Mormon, like the Nicene Christian God, is said in Mosiah 3:5 to be the one “who was, and is from all eternity to all eternity.” But Joseph Smith flatly contradicts Mosiah in a sermon on April 6, 1844 when he says, “We have imagined and supposed that God was God from all eternity. I will refute that idea.” (Journal of Discourses 6:3) In a classic sermon that is worth reading in its entirety (https://en.wikisource.org/wiki/Journal_of_Discourses/Volume_6/Character_and_Being_of_God,_etc. ), Joseph goes on to spell out his doctrine of eternal progression: “God himself was once as we are now, and is an exalted Man, and sits enthroned in yonder heavens. That is the great secret…and you have got to learn how to be Gods yourselves, and to be kings and priests to God, the same as all Gods have done before you…” This belief is nowhere to be found in the Book of Mormon, or in the Bible. It contradicts both. The Book of Mormon reads like a product of the theology of the 1820’s. It is an impressive product indeed, reflecting both the rough education and the sharp mind of its author, able to retain and synthesize the preaching and religious literature of his day into a sizeable volume of work. I will give Joseph Smith credit for a masterful creation, but I would argue that the only parts of it that are revelation from God are the parts that are restatements of Biblical truth. So why do we find the Book of Mormon to be more Nicene Christian than Mormon in its theology? I believe the book is designed to be a bridge document, whose purpose is to lead people to Joseph Smith as the source of new revelation, while attempting to temporarily affirm what is essential in Nicene Christianity. It is like the Quran, designed to lead readers to a new prophet while affirming as much Judaism and Christianity as possible. I do not believe the story told by the Book of Mormon. But for those who do believe the book, I would urge them to believe in the triune God taught in this book, rather than in the later teachings of Joseph Smith and his successors. And if the choice is difficult, I would ask them to consider whether their leaders have strayed from the truth, and whom they should follow when forced to make such a choice.